The LTU2000 is the latest leak detector upgrade for "Uniloy" (flat-bed) trimmers. Generally similar to the LTU6000 , the control cable uses a compatible plug so that all the existing wiring and piping can be used. Installation consists of moving over the old electrical plug and moving the piping to the new fittings. The resulting system has the same specification as the LTU6000 but is for interface to AC trimmers only. 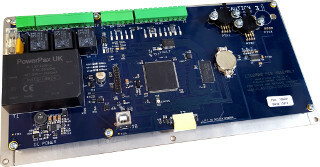 It uses a single circuit board instead of requiring the AC interface option PCB of the LTU6000. It is based on the same advanced electronics used in the LTU6000, but is designed specifically as a painless upgrade of the QT210F leak detector. 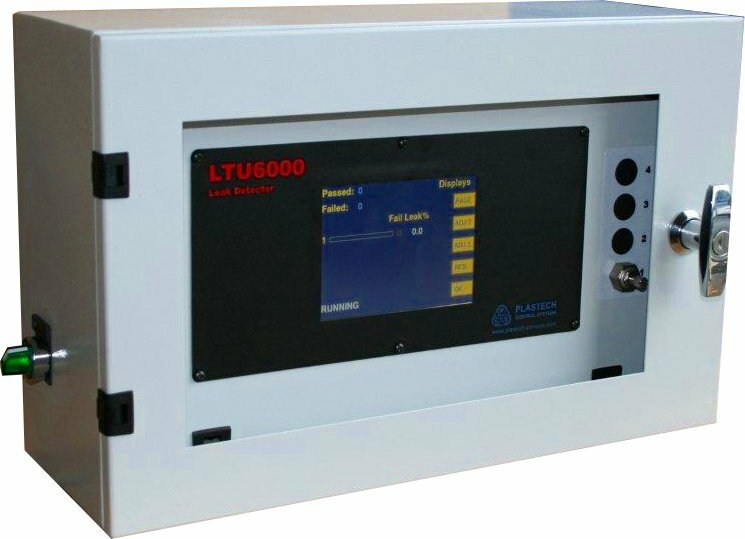 The LTU2000 is available with or without the test head assembly (in which case the existing assembly and piping can be used). The AC machine Interface is built in to the single PCB. It is for 110VAC control systems only. Solid state relays ensure no moving parts during operation, improving reliability.